Compare and Choose Horse Float Finance in Brisbane & Gold Coast To Suit Your Needs.. Need Horse Float Finance? We help Australian’s compare and choose low cost loans for horse floats, gooseneck trailers, stock trailers, toy haulers and more. Whether you’re looking for a new or used horse float, negotiating on a private sale or bidding on an auction, accessing our panel of Australia’s leading banks and lifestyle finance companies, we can help you find the very best outcome for your finance needs. Whatever your situation, iCREDIT can help you compare and choose finance to suit you. Backed by national buying power helps us negotiate better finance than by going to the banks direct. Your dedicated finance consultant can help you find, compare and choose loans suitable to your budget and lifestyle requirements. 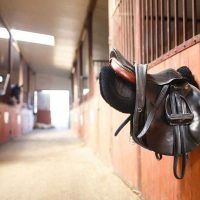 Whether your buying your first float or upgrading to a newer model, our experience in financing horse floats can help you decide on a loan suitable to your needs. If you’re still searching for that custom float or gooseneck trailer, you can obtain an upfront pre-purchase loan. Pre-purchase finance gives you the flexibility of shopping around without having to sort out finances after deciding to buy. To obtain pre-purchase horse float finance, you will need to go through the loan application process which will record a credit check on your credit file. APPLY NOW.